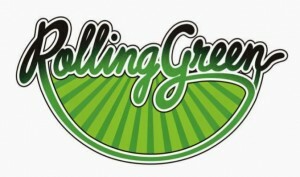 Organisers of the A Day On The Green festivals have today announced that they’ll launch a brand new concert series called ‘Rolling Green’ over summer 2015. They’ve also confirmed that they’ve roped in the services of US outfit The Black Keys to launch it. ‘Rolling Green’ delivers the same kind of concert-going experience as its better-established big brother, but it’ll be delivered with a greater youth-focus. “‘A Day On The Green’ has found its place but there is no reason younger audiences should not see bands they want to see in the beautiful environments that have made a day on the green such an established event for an older crowd,” promoter Michael Newton said in a statement. The Black Keys will play with suppose from Spiderbait, Band Of Skulls and Bad//Dreems on Sunday April 05 at Rochford Wines in Victoria’s Yarra Valley and Saturday April 11 at Bimbadgen Estate in the New South Wales Hunter Valley. The Black Keys will also perform a series of arena shows while on ground, along with an appearance at Bluefest in Byron Bay. Tickets for all shows are on sale from 9am on Thursday September 11.